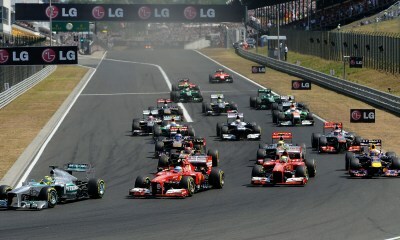 The Hungarian is also the first circuit to have hosted a Formula 1 Grand Prix on the "other side of the Iron Curtain". The Hungarian Grand Prix has been on the calendar since 1986, establishing itself as one of Formula 1's most famous venues. Famous for its technically demanding layout, the Hungarian is a tough and narrow circuit just outside the wonderful city of Budapest. Loved by the drivers for the challenge it poses in the heat of summer, its delightful setting, old-school layout, and fantastic carnival atmosphere, this circuit is also particularly relished by the fans. You will enjoy terrific vantage points while watching the races since the circuit is built in a natural valley. The general admission area surrounds the biggest part of the circuit. Since the surrounding of the circuit is very hilly, there’s a good view at some spots of the general admission area. There are no giant TVs in the general admission area. The Bronze 2 Grandstand has a very good view of the race track, which makes this grandstand very popular on the Hungaroring. In addition, there is a giant TV screen opposite the grandstand. 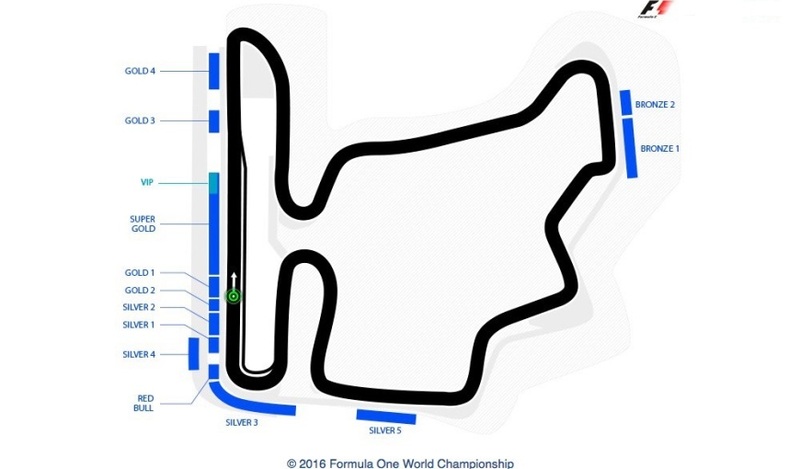 The Silver 3 Grandstand is located in the last curve before the start/finish. You have a view of the entire start/finish line as well as the 2 previous curves and as far as to the Silver 2 Grandstand. There is a giant TV screen opposite the grandstand. The Gold 4 grandstand is located at the end of the start/finish straight just opposite turn one. In 2003 the start/finish straight was rebuilt and the first turn made even tighter, so overtaking action is guaranteed there. Opposite the grandstand there is a giant TV screen. The Super Gold Grandstand has the best view of the start and finish straightaway and of the boxes. In addition, there are giant TV screens opposite the grandstand. The Super Gold Grandstand is also the only covered Grandstand at the Hungaroring. Behind the Grandstand is the Official Teams Merchandising and Exhibition Area.